Exactly eight years ago today, Matt Mullenweg announced that the first release of WordPress was available for download. We wonder if he knew what he was starting. Much has happened with the blogging software since then. For one, WordPress has become the most popular blog platform in the world, which is no small feat. It’s also without a doubt one of the most successful open source projects ever created. How many WordPress blogs are there? In December, there were more than 16 million self-hosted WordPress blogs. 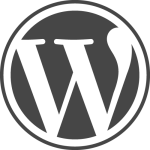 If you also count WordPress.com, the hosted WordPress blog service from Automattic, that number more than doubles. WordPress.com alone now hosts more than 20 million blogs. We’d like to take this opportunity to congratulate Matt and the whole team at Automattic, as well as everyone else who has contributed to the development of WordPress through the years. It must feel good to have made such a big contribution to the evolution of the Web, and blogging in particular. As the saying goes, keep up the great work! Wow! 24.7 million! That’s…. WOW! I have installed WP-blogs for many friends, and they really lika WP. I like WP, too. I uses it everytime I need a blog.